In the past day, Donbas militants waged 44 attacks on the positions of Ukrainian army in the zone of the antiterrorist operation in Donbass, ATO headquarters reported on Facebook 3 December. In the Luhansk sector, Russia-backed militants fired mortars on Novooleksandrivka, Balka Kosharna and Krymske and used rocket-propelled grenades and heavy machine guns in the areas of Lobachyove, Novozvanivka, Malynove. Novotoshkivske, Balka Kosharna were shelled from 120 mm mortars. Stanytsya Luhanska was under fire of rocket-propelled grenades and machine guns. An enemy sniper was active in the area. In the Mariupol sector, Shyrokyne and Berdyanske was shelled from 152- and 122-mm artillery. Mortars, grenade launchers, infantry fighting vehicles weapons and small arms were used in the areas of the villages of Shyrokyne, Vodyane , Novohrihorivka, Mariyinka, Novomyhaylivka and Pavlopil. Bohdanivka and Mariiynka were under sniper fire. In the Donetsk sector, the separatists shelled Novhorodske, Avdiyivka, Luhanske and Verhnyotoretske from mortars and fired rocket-propelled grenades, heavy machine guns and small arms at Luhanske and Kirove. 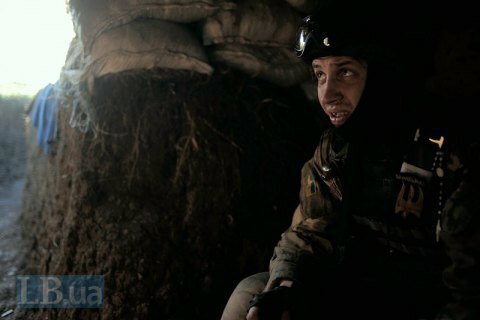 On 1 December, one Ukrainian soldier has committed a serious crime and defected to the separatist side in the hope to avoid punishment.